Amongst Pittsburgh’s charms are a wealth of activities that can enrich the souls of parents and children alike. My wife and I discovered this for ourselves recently, exploring this city’s cultural gems while watching our 6-month-old son do the same. In addition to being legitimately fun, we found the attractions all had certain qualities in common, notably that none of them required either parents or children to compromise their interests for enjoyment. In an era when “family-friendly” is often synonymous with places defined only by waterslides, pizza, and balloon animals, it was refreshing to find places that appealed to all by virtue of their quality and educational value. Here are five must-see attractions to explore in Pittsburgh with kids. The Duquesne Incline is an impressive slope built on Mt. Washington in 1877, upon which wooden cable cars travel up and down all day long. A rollercoaster it’s not—the cars travel very leisurely, never exceeding the speed of a brisk walk. The Duquesne Incline offers a view of the Pittsburgh vista, almost San Franciscan in its ups and downs. Our baby was fascinated by the constantly moving world outside, reaching out to touch the windows and staring with wide eyed inquisitiveness. Next to him was an elderly woman enjoying the scene with equal gusto, as she gracefully ascended a hill she could no longer climb. 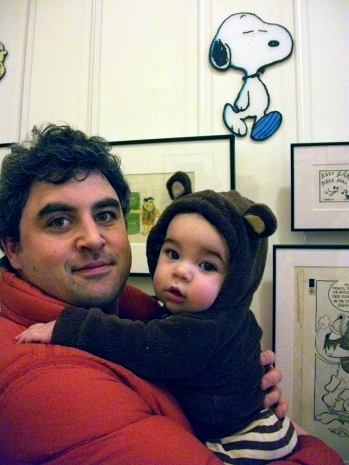 A museum about the oft ignored art of cartooning, the Toonseum is a cozy gallery of framed sketches, comic strips, and character illustrations done by the world’s most famous cartoonists. Besides the wow factor of seeing famous artists’ work up close and in progress, there was a lot to be learned about the cartooning process, which was rather captivating for this adult. There’s space in the main gallery for visitors to work on their own cartooning, with a small workspace set up next to some early sketches of Fantasia characters, done by the original artists. In a room adjacent to the main gallery, there’s a large and mostly empty room with costumes of famous cartoon characters. If nothing else, the room provides for many quirky photo opportunities, and there’s space for children to play around without a peering docent shaking a finger. 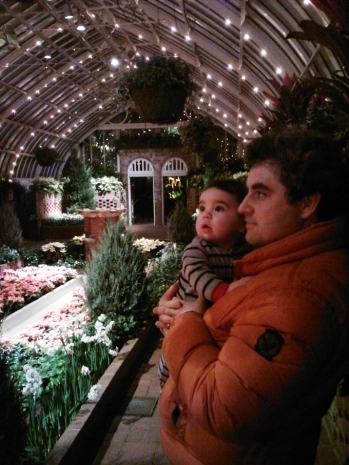 Although it was bitterly cold, but we braved Pennsylvania’s elements and drove to Phipps Conservatory and Botanical Gardens, enticed by an event appropriately called Winter Light Garden. I’ve never been a huge fan of botanical gardens—often preferring to see plants in natural habitats—so I was surprised to find my mind blown by the conservatory’s bounty of flora and fauna. A boundless jungle of exotic trees and alluring foliage, the gardens were illuminated by golden, warm mood lighting, with faint ambient music playing from hidden speakers. The winding trails of wooden planks were damp from plant-nourishing mist, and after weaving in and out of several rooms with plants and trees from different regions, our experience had turned pleasantly dreamlike. We were still lucid enough to safely carry our baby, who absolutely loved it. He reached out towards the strange leaves and beautiful arrangements, watching the evolving landscape with rapt focus. The visual textures and arrangements of plant life at Phipps will amaze the curious child. As far as botanical gardens go, Phipps Conservatory and Botanical Gardens ranks among those I’ve enjoyed most. It was awesome. In 2011, Parents magazine named the the Children’s Museum of Pittsburgh as the 7th best children’s museum in the country, so we entered with high expectations. Our expectations were met, and I found the museum to be great in a lot of unique, imaginative ways I couldn’t have predicted. The museum steers clear of the simple toys + space = fun formula that lesser museums have long exploited, instead specializing in impossibly large exhibits that require exploration. The Garage contains a maze of 2,000-pound tires, multiple levels with corkscrew slides and parachutes, a custom raceway that kids build themselves, and small cars that can be taken for “test drives”. The Gravity Room is tilted at a 25 degree angle, allowing for a weird and wonderful play structure experience. The Makeshop allows kids to explore circuitry, woodworking, fabrics, animation, and electronics. An entire floor of the museum is devoted to the Waterplay exhibit, where kids can explore concepts of volume, buoyancy, density, and mass. 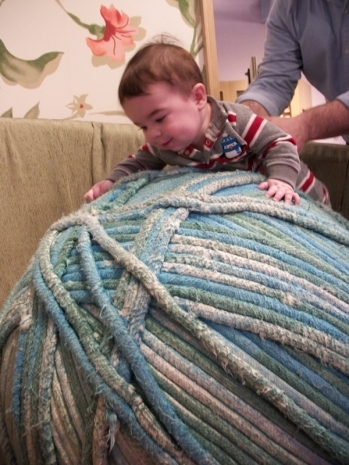 On the whole, the Children’s Museum is reason enough for families to visit from other cities. The Carnegie Museum of Natural History provides a visual and cerebral feast. Towering dinosaur skeletons stood on the main floor, surrounded by grassy re-creations of their appropriate environs. Dinosaurs in Their Time was an exhibit accompanied by explanations of current scientific evidence, with noteworthy information about T-Rex’s overstated viciousness. BugWorks was particularly interesting to our son, as the large collection of specimens allowed for close examination not often afforded. There is plenty of hands-on material for kids: the Discovery Room houses touchable skeletons and fossils, live animals ripe for handling, African artifacts, and other wonders geared towards preschoolers and elementary-aged children. Also awesome was Bonehunters Quarry, where children and their parents get to become archaeologists and dig for bones. My wife and I had a hard time leaving that area. A Midwestern treasure, Pittsburgh offers mental stimulation and good ol’ sensory delights for human beings of all varieties. Our baby loved it, and watching his responses to new places makes good things even better. Indeed, my entire family is eager to return. 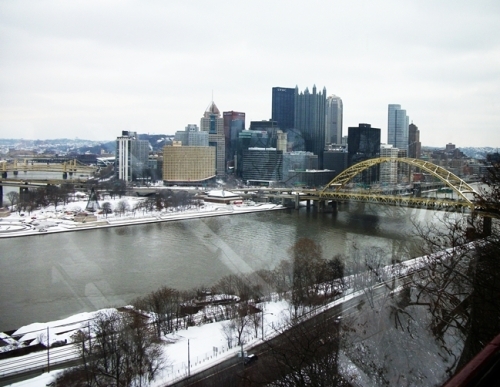 Have you visited Pittsburgh with kids or are you planning a trip? Let us know your questions or tips in the comments! A Note from Travel Mamas: Thank you to VisitPittsburgh for helping to make this trip possible. Pittsburgh was such a surprising family-friendly destination for us as well! 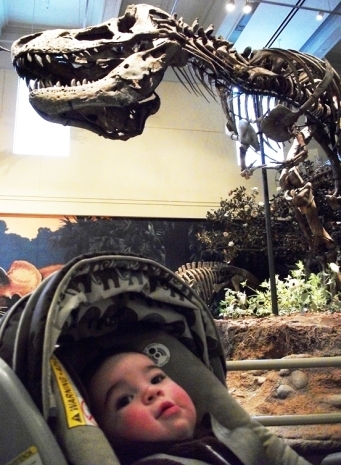 We loved the dinos at the Carnegie Museum, but Carnegie Science Center was even more of a hit. The National Aviary was a great stop, as well! Traci, the dinos were great at Carnegie. The museum had such a great approach in general, towards science and learning. I have never been to Pittsburgh but I have a much better understanding and regard for the city after reading your review. Ellen-Glad to hear that! it really is worth visiting. I’m totally sending this to my brother. He’s nearby in New Jersey and I guarantee he’s never checked out some of these cool places! Amber – I was surprised by the bounty of goodness. Even the Travel Daddy didn’t realize, at the time of going, that National Geographic named Pittsburgh one of 20 locations not to miss in 2012. Other places on the list were Oman, Thailand, Panama, Iceland, etc. So clearly Pittsburgh has developed fairly wide recognition. Matt, Sam, and I went to the Children’s Museum today after recommendations from April and Aunt Helen. Sammy loved the Garage the best. Unfortunately the Water exhibit was closed for renovations. Thanks for a great review of a bunch of the museums in the area. I think our next stop will be Phipps! Excellent Katy! Good to hear.